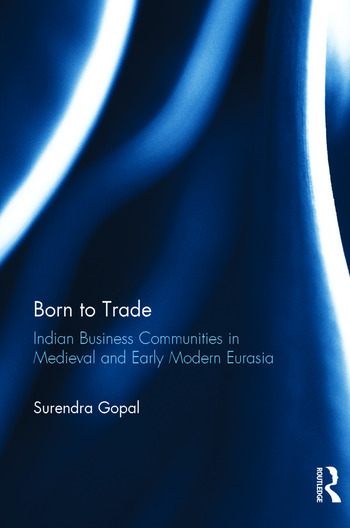 This pioneering work traces migration of Indian traders to Russia, Iran, West Asia and South-East Asia in medieval times. Four essays throw light on the activities of the Indian business community in Russia. Generally Indians came to Russia via Iran. There they took a boat, crossed the Caspian Sea and reached the Russian port of Astrakhan. Indian visitors included Hindus (including Jains), Muslims, Christians, Parsis among others. Hindus constituted the largest segment of the migrants. They became an object of local curiosity because of their rituals and social practices. They also became an object of jealousy. Indians did not enjoy political and administrative support as the European East India Companies did. Occasionally local rulers consulted them and sought their advice. Three essays deal with Indian traders in Iran in the seventeenth and eighteenth centuries. One essay discusses trade between India and Iran in the fifteenth century. There are papers discussing activities of Indian traders in West Asia, Yemen and South East Asia in the seventeenth and eighteenth centuries. The conclusion focuses on Indian merchants and the Indian Ocean in medieval times. The author concludes that Indian traders did not enjoy political and royal support, essential for success. He also affirms that crossing the seas did not lead to social boycott by their caste-men. This taboo came much later, probably with the advent of British rule in the nineteenth century. Surendra Gopal served in the History Department of Patna University between 1958 and 1996. Some of his recent works include Urdu Historiography in Bihar in the 19th Century: Contribution of Hindu Authors (2004); Dialogue and Understanding: Central Asia and India, the Soviet and the Post-Soviet Era (2005); Stepping into Modernity: Patna in the Nineteenth Century (2008); and Shri Braj Kishore Prasad: The First Associate of Gandhiji in Bihar (2012).